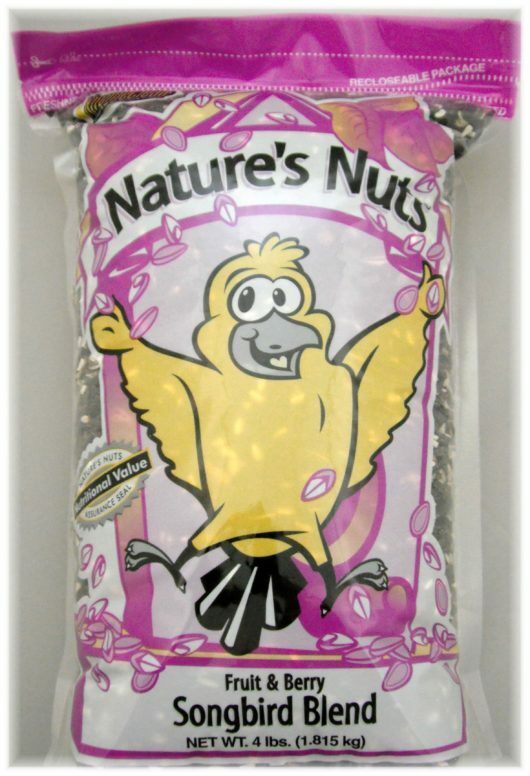 While other Songbird Mixes only add fruit flavoring, Nature’s Nuts Fruit & Berry Songbird Blend contains real fruits and berries to bring the largest variety of colorful songbirds to your feeder. 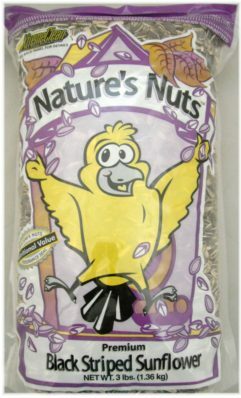 Ingredients: Sunflower Seed, Safflower Seed, Stripe Sunflower Seed, Pumpkin Seed Kernels, Sunflower Kernels, Peanuts, Dried Cherries, Dried Raisins, Dried Cranberries. 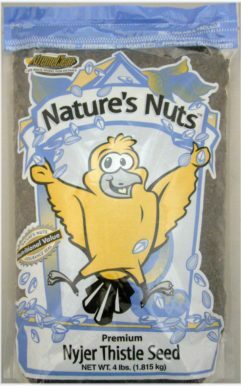 Attracts: Chickadees and other arboreal birds, such as Nuthatches, Titmice, Grosbeaks and Woodpeckers. Feeder Type: Chalet, Hopper, Bowl. Sizes: 4 and 15 lb.